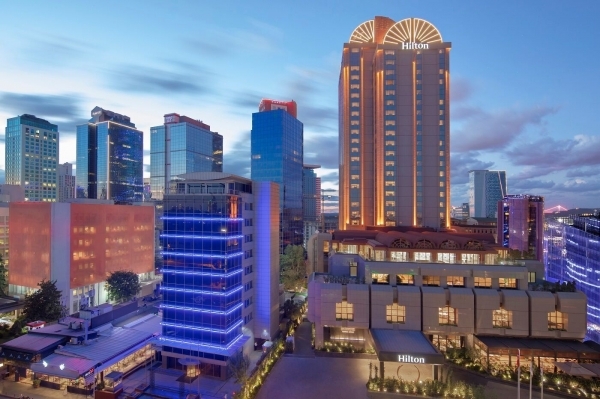 When would you like to stay at Hilton Istanbul Maslak - Check Availability & Room Rates!!! Hilton Istanbul Maslak is well designed business hotel which is located in business center and close to historical sites and shopping center. Hilton Istanbul Maslak Hotel has 284 rooms varying from 31 to 52 m2 is designed and decorated to ensure your maximum comfort and satisfaction. How far and How long will it take from/to the Hilton Istanbul Maslak from/to International Airports and cruise Ports.